With only two weeks before the deadline for MCWC 2019 scholarship and Master Class applications, many of you may be rushing to finish your submissions. Often as writers we find there simply isn’t enough time for our writing amidst everything demanding our attention! In this month’s faculty spotlight interview, MCWC 2019 Poetry Instructor Victoria Chang shares advice on finding a balance between writing and life. As the author of four published collections of poetry, with a new book due for publication in 2020, Victoria can speak to the demands of a busy writing life. She has also edited the anthology, Asian American Poetry: The Next Generation, and published a children’s book. She has received a Guggenheim Fellowship, a Sustainable Arts Foundation Fellowship, the Poetry Society of America’s Alice Fay Di Castagnola Award, and a Pushcart Prize. Though she spent many years juggling her writing career with a career in business, she now writes full time and teaches within Antioch’s MFA Program. Keep reading for inspiration to get those scholarship and Master Class submissions ready! Applications close February 15. Visit mcwc.org for full application details. 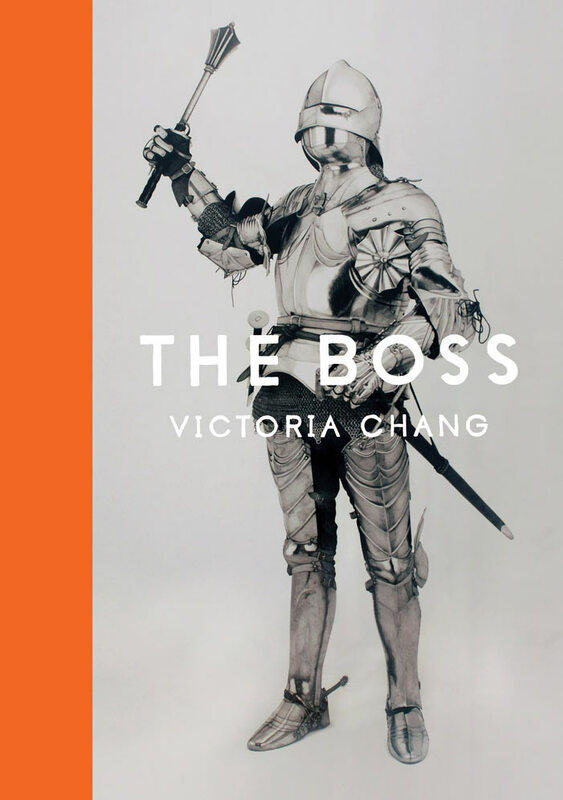 In addition to your MFA, you have an MBA from Stanford and you used to work as a business consultant, an experience that inspired your third book of poetry, The Boss. In this interview with The Adroit Journal, you mentioned that you only recently began writing and teaching full time. Can you share about this transition? Do you enjoy working in the writing world full time? I worked as a consultant and also in marketing and communications. Towards the end of my business life, I worked in academia so it wasn’t entirely mercenary but it was still very different. I didn’t return to business after my mother passed and I won a Guggenheim that allowed me to leave my job. At that time, I was also adjunct faculty at Chapman University and gaining teaching experience. A job came up at Antioch and here I am. Working in the writing world full-time is a little different. I like it a lot, but truthfully, sometimes I miss working with business people because the training is different. The vocabulary is different. The mindset is different. It’s more collaborative and team-work isn’t some weird scary thing. Granted, there are a lot of things I don’t miss, but that is one thing I do miss. Nothing is ever perfect, of course. Now I’m busier than ever and barely have time to breathe. In your latest book of poetry, Barbie Chang, you tackle issues of race, class, and gender through a perspective that the Los Angeles Review of Books described as a “feminist critique of spectatorship.” How was the writing process of this book for you? What inspired this book and how did it come about? Initially these poems were first-person poems and I was mostly playing around to see if I could even write poems that had a bit of social critique to them. 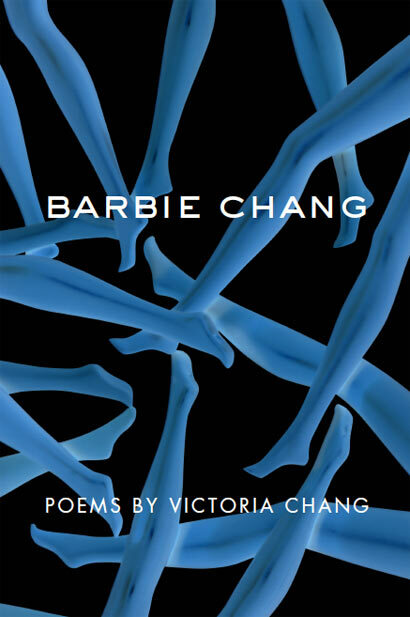 Eventually, I felt the first-person was too limiting so when the name Barbie Chang popped into my head, I laughed because it seemed so ludicrous (Barbie being an idealized American and Chang being un-idealized) and then I changed all the poems to third person and the poems became more fun to work on at that point. At some point, I also mined an older manuscript, pulled in a bunch of older poems and revised those into the manuscript, as well as wrote new poems at the end of the book. You spoke about your MFA from Warren Wilson in this interview with The Rumpus. You said you were accepted into another program, but it would have required you to leave your job so you turned down the offer. Later, you found the program at Warren Wilson, which was a better fit for your working schedule. What advice to you have for writers managing their passion for writing with the responsibilities of a day job? Back then, it was a more unusual to do a low-res program or to have a day job. Given the dearth of jobs in academia (with a livable wage), I think more and more people will have different backgrounds now. I think that’s a good thing. I’m always interested in reading stories or poems by people who didn’t go straight into a Ph.D. program right out of undergrad. In terms of advice, I have none, but get ready to be busy and disappointed. Add children into the mix and it gets harder. You have to really want a writing life and you have to really want to write. You now teach at Antioch University’s MFA Program. What do you enjoy about teaching? What do you hope the participants will take away from the poetry workshop at MCWC 2019? Mentorship. I like talking to people so it’s nice to be able to parlay any life experience I have to other students. I hope that participants will learn how to pay more attention to language and see the possibilities that are not on the page. Plus, my favorite thing to do is to workshop and to teach in a small group setting that is not in the context of an academic semester. It is literally the thing that brings me the most joy so be prepared to have a lot of fun, learn a lot, and be in an inspired group. I truly love intensive workshops. In this interview with Guernica, you bring up an interesting discussion about writing in the age of social media, and the connection today between “the person and the poems,” as you put it. How do you feel the digital age has affect the world of poetry? 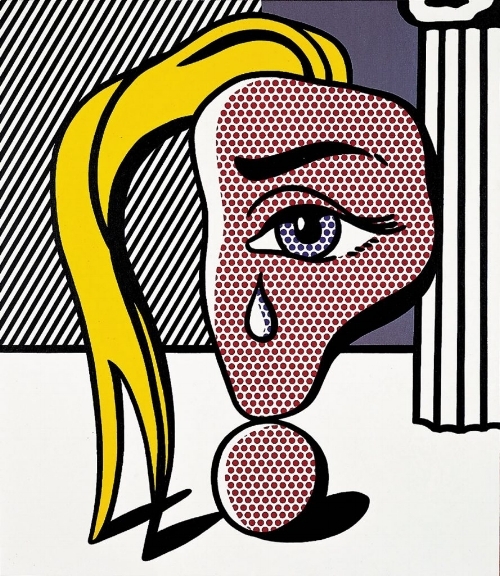 Do you have advice for poets trying to manage their art in the world of social media? I have no advice about this but the advice my father once gave me when I was upset at someone who had written me a rude email. He said: “Just delete it. If someone calls, hang up. If they send you a letter, throw it out.” I thought he was ridiculous with his grand gestures, but I have to admit, I hang onto his advice hard now that he can’t communicate with me anymore. He’s right about social media. I don’t get involved in all the fights and other things that can happen on social media. For me, it’s about love, community, and sharing. Goodness. I ignore all the rest. I just “delete it,” as dad used to say. What do you see as the role and import of poetry in the world today? As an instructor in a low-residency MFA program, do you have advice for people balancing their passion for writing with the demands of work, family, and relationships? I think poetry can be important to some people but I don’t see it as the end all be all. There are a lot of different art forms that can move people in different ways. I love poems and think they get people to think more deeply and to feel more deeply. I will only say that balancing is difficult and again, you have to write because you can’t not write. And also understand that there could be years or even decades where you’re just too busy to write and things come up. It’s not worth anyone’s time to beat yourself up. On the other hand, using time as an excuse is a problem if you’re using it as an excuse. Sometimes I say I don’t have time, but I realize it’s because I’m not that interested in a particular project. You have two dachshunds named Mustard and Ketchup, which are adorable names! You also are a mother and have published a children’s book, Is Mommy? How does your personal life inspire your writing? When you’re not teaching or writing poetry, how do you like to spend you free time? I have no free time! Really. I’m in the process of trying to figure out how to earn some of that back. Wish me luck. 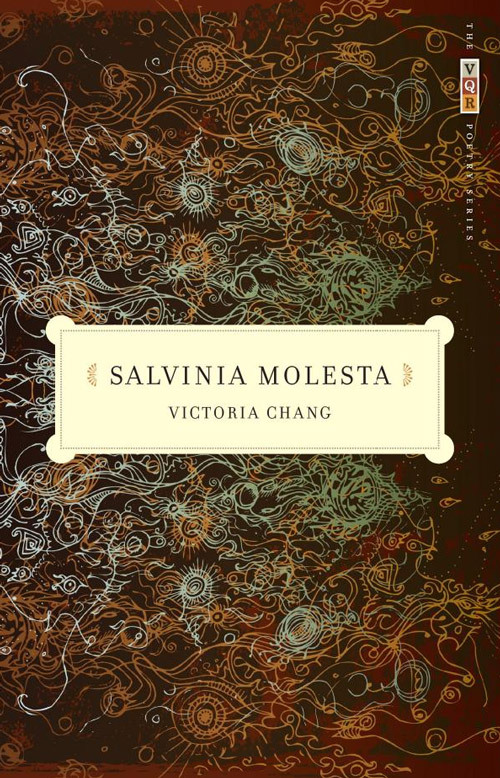 To learn more about Victoria, visit her website at victoriachangpoet.com. If you would like to register for her Poetry workshop at MCWC 2019, please visit mcwc.org after March 1 when general registration will be open. To apply for a scholarship, visit mcwc.org/scholarships. To apply for the Master Class, taught by Myriam Gurba, visit mcwc.org/master-class. Applications close February 15 and no late submissions will be accepted. Good luck! We look forward to seeing you at MCWC 2019! Sign up with your email address to receive news and updates about MCWC 2019! 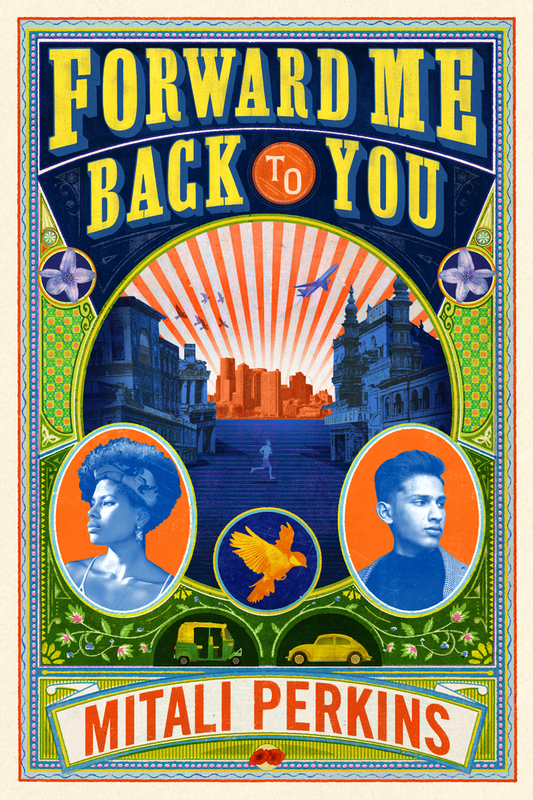 Mitali Perkin’s latest novel, Forward Me Back to You, will release on April 2. You can join her for her book launch on April 13 at Orinda Books from 4-5:30pm. Congratulations, Mitali! Congratulations to MCWC past participant Carole Stivers on her recent book and movie deals! 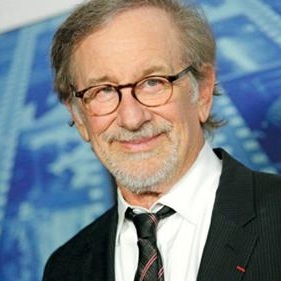 Her novel, The Mother Code, will be published by Berkley Books (Penguin Random House) in May 2020 and was optioned by Steven Spielberg's Amblin Entertainment. Congratulations to MCWC 2017 faculty Kat Meads! Her novel Miss Jane: The Lost Years made the 2018 ForeWord Reviews INDIES Book of the Year in two categories: literary fiction and humor. MCWC past participant Sue Granzella published her essay, "All the White People," with The Masters Review. You can read her essay here. 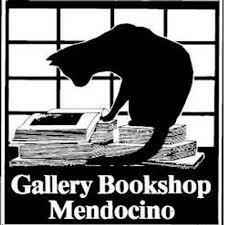 At 6:30pm on Saturday March 23, Gallery Bookshop in Mendocino will host a reading sampler that includes past MCWC scholars and contest winners Amanda Conran, Natasha Yim, Cameron Lund, Julie Sullivan, Chris Ernest Hall, Cady Owens, and Amy Lutz. The evening will be moderated by MCWC 2018 faculty Susan Chang and MCWC 2018 Executive Director Shirin Bridges. Please join them for what promises to be a very lively event! MCWC 2018 faculty Vanessa Hua will be reading with the Hugo Literary Series in Washington on March 15. Congratulations to MCWC past participant Kathleen McClung who has been granted a Brown Handler Writers Residency by the Friends of the San Francisco Public Library. David Corbett's latest novel, The Long-Lost Love Letters Of Doc Holliday, has been nominated for the Lefty Award for Best Historical Mystery. 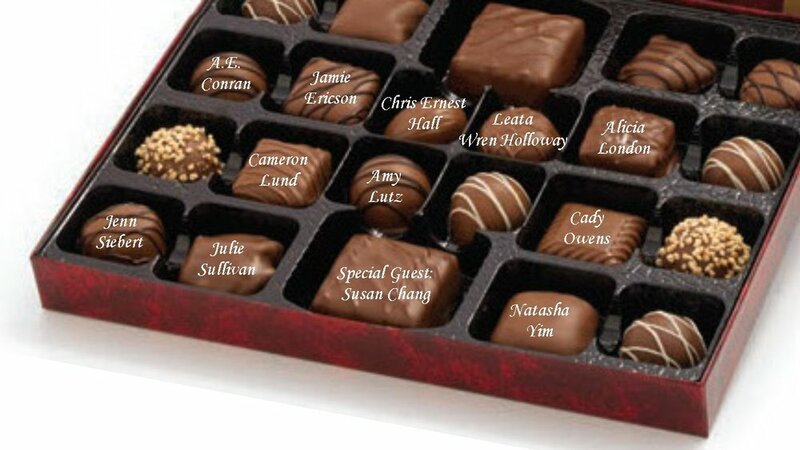 The winner will be announced on March 30th at Left Coast Crime in Vancouver, BC. Lisa Locascio will be teaching a creative writing workshop at Gallery Bookshop in Mendocino Tuesdays, 6:30-8:30 PM, February 28 - April 16. You can learn more here. Email lisa.locascio@gmail.com to sign up. MCWC 2018 participants Anniqua Rana and Mairead Brodie will have their writing read as part of Play on Words San Jose on February 24. This great event is hosted by MCWC 2018 participant Julia Halprin Jackson. MCWC past participant Devi S. Laskar’s debut novel, The Atlas of Reds and Blues, will be published by Counterpoint Press on Feb 5. Join her for the launch party at Books Inc. in Mountain View. Full details here. Congratulations to Cameron Lund, MCWC 2016 social media manager and past participant, on the upcoming publication of her novel, The Best Laid Plans. She shared this novel in the MCWC 2017 Master Class and pitched it at MCWC 2018. It will be published by Razorbill (an imprint of Penguin) in 2020 as part of a two-book deal! MCWC 2016 faculty Reyna Grande’s latest essay on immigration was published by Literary Hub. You can read her piece here. MCWC 2018 scholarship winner Beth Finke contributed to a special report by Variety magazine that took an in-depth look at people with disabilities in the entertainment industry. The report was published online here and will be featured at the Sundance Film Festival. MCWC 2019 novel workshop instructor Ingrid Rojas Contreras will be reading from her new novel, Fruit of the Drunken Tree, at Skylight Books in Los Angeles on Jan 20. MCWC past faculty Laura Atkins will be launching the second book in her Fighting For Justice Series, Biddy Mason Speaks Up, with co-author Arisa White on Jan 12 from 2-4pm at the African American Museum and Library at Oakland. The book will be available on Feb 1. MCWC past participant Anne Da Vigo’s short story “Voyage of the Tropical Queen” will be read at Stories on Stage Davis on Saturday Jan 12 at 7:30 at the Pence Gallery. MCWC past faculty Jody Gehrman is taking part in Mendocino College’s new collaboration, the Phoenix Project, a series of art installments inspired by the recent fires. She will be teaching a Narrative Theater class this spring at the Ukiah campus to prepare a play for the project. Click here to read more and find out how to get involved. MCWC 2018 faculty Nina Sadowsky is holding a short story contest to celebrate the first anniversary of the publication of her thriller The Burial Society. Submissions are open January 1 to January 30. The winning story will be published in Nina’s newsletter (circulation 4K) and the winner will also get fun prizes courtesy of Random House Click the image above to see the contest details. 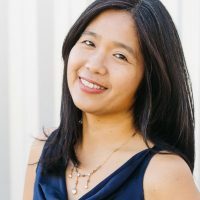 MCWC 2018 faculty Vanessa Hua will be reading with THERE- The East Bay Reading Extravaganza, a reading series at The Octopus Literary Salon in Oakland on December 14. This series is run by MCWC participant Doug Sovern. MCWC Executive Director Lisa Locascio shares about her writing process for Open Me in this interview with The Rumpus. MCWC ex-Social Media Manager and conference participant Cameron Lund has signed with Root Literary. She’s one step closer to publishing her YA novel and we can’t wait to read it! Congratulations to MCWC 2018 faculty Vanessa Hua and MCWC 2019 faculty Shobha Rao on making The Washington Post’s list of 50 Notable Works of Fiction of 2018! MCWC past participant Harriet Gleeson and former director Maureen Eppstein will be joined by editor Lucy Lang Day, rap poet Kirk Lumpkin, and Ohlone poet Stephen Meadows in a reading from the new and highly acclaimed anthology Fire and Rain: Ecopoetry of California. This reading will be at Gallery Bookshop on November 30 at 6:30 pm. MCWC past faculty John W. Evans will be giving a talk on writing a memoir on November 12 in San Jose with the South Bay Writers. Click here for full event details. Kara Vernor’s flash fiction story "How Not to Become an Expat" was nominated for the Best Small Fictions of 2019 by New Flash Fiction Review. You can read her story here. The MCWC board welcomed a new member, Laura Welter, to the team. Laura has extensive experience working with non-profits, and MCWC is thrilled to have her! MCWC participant A. E. Conran’s novel, The Lost Celt, was a finalist in three categories of the Independent Author Network’s Best Book of the Year Awards 2018: Children's Fiction, War/Military, and First Novel. Congratulations Amanda! Laura Atkins, co-author of Fred Korematsu Speaks Up, has a new collaboration with Arisa White for the second book in the Fighting for Justice series from Heydey Books. 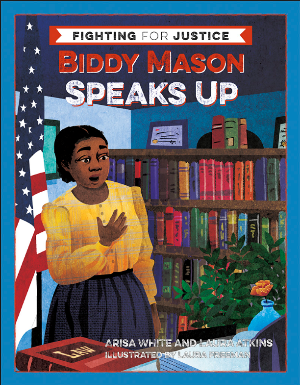 Biddy Mason Speaks Up is due for publication early next year, and is available for pre-order now. Natasha Yim will publish her new book, Mulan’s Lunar New Year, with Disney Publishing Worldwide on October 30. You can pre-order a copy now for the young readers in your life. Guadalupe Garcia McCall’s new novel, All the Stars Denied, will be published by Lee and Low Books on October 9. It received this great review from Latinos in Kid Lit. Reyna Grande’s new memoir, A Dream Called Home, details her journey to become a writer. It releases on October 2. You can check out Reyna’s list of upcoming tour events here. David L. Ulin makes the case for reading as a political act in his latest book, The Lost Art of Reading, published on September 4 from Sasquatch Books. MCWC past faculty Reyna Grande, Shanthi Sekaran, and Vanessa Hua will be presenting at the Amplify Storytelling Conference in Berkeley, September 8-9. Marion Deeds published her short story “Adagio for Tiamat Station” in the anthology Beyond the Stars: Unimagined Realms. MCWC 2015 faculty David Corbett published his new historical thriller, The Long-Lost Love Letters of Doc Holliday, on August 18. Short fiction workshop instructor Vanessa Hua published her debut novel, A River of Stars, on August 14. Check out her list of tour events in September. Jason Ridler published Black Lotus Kiss on August 14. This novel is the second in his series, The Brimstone Files, from Night Shade Books. 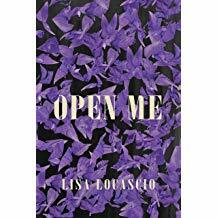 Lisa Locascio published her novel, Open Me, on August 7. It's received high praise, including this review from NPR. Survivor Café by MCWC 2018 faculty Elizabeth Rosner made the non-fiction shortlist and The Age of Perpetual Light by MCWC past faculty Josh Weil made the fiction shortlist for the Northern California Book Awards. Amanda Conran's novel, The Lost Celt, won first place in the Story Monsters Purple Dragonfly Awards for the Middle Grade Fiction and the Charity/Making a Difference categories. MCWC past faculty Camille T. Dungy won the 2018 Colorado Book Award in the poetry category for her book Trophic Cascade. Congratulations Camille! 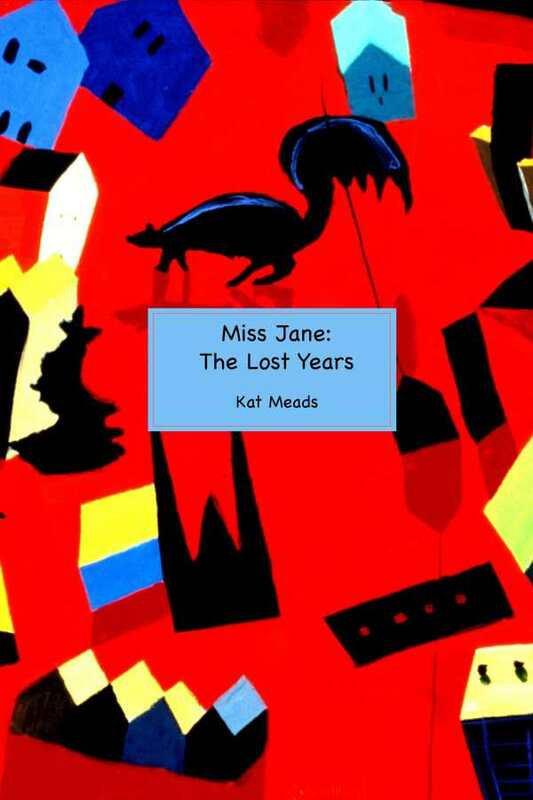 MCWC past faculty Kat Meads published her new novel, Miss Jane: The Lost Years. And it received high praise from Kirkus Reviews! 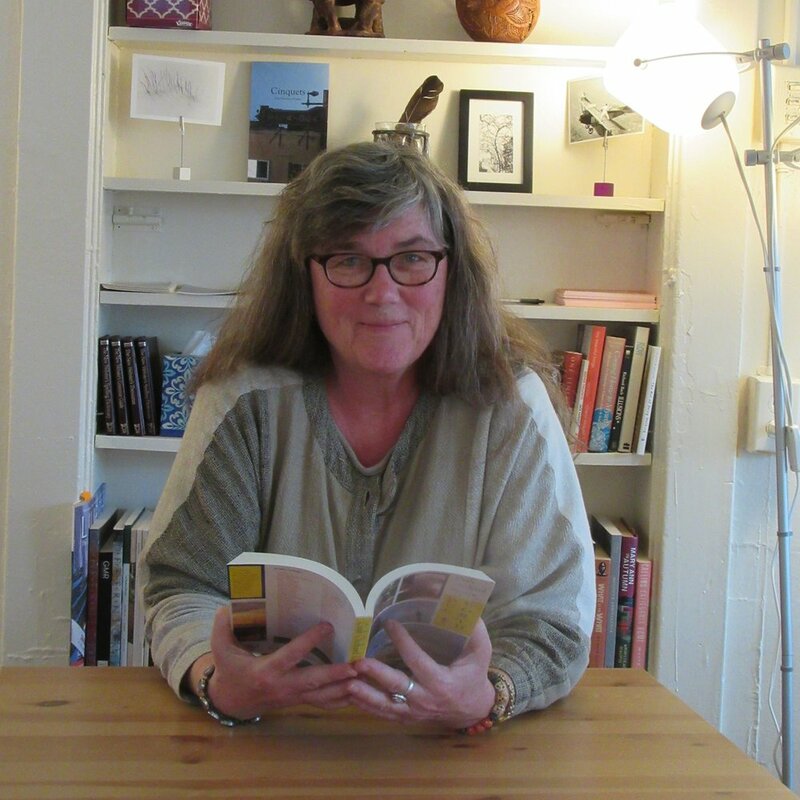 MCWC past faculty Alison Luterman will be reading as part of the Rivertown Poets Amuse-ing Mondays at the Aqus Cafe in Petaluma on June 4 at 6:15 pm. Judith Barrington published her newest book of poems, Long Love: New and Selected Poems, with Salmon Poetry. This year’s Emerging Writers’ Workshop instructor Jason S. Ridler published his non-fiction book Mavericks of War with Stackpole Books. David Corbett will be teaching an online course The Craft of Character through Lit Reactor beginning June 7. Jean Hegland’s novel, Into the Forest, won the Union Interalliée 2018 Prize for a foreign novel. Congrats Jean! We are proud to announce the Noyo River Review book launch and reading will be at the Gallery Bookshop in Mendocino on May 13 from 2:00-4:00pm. Grant Faulkner was one of the editors of Nothing Short Of: Selected Tales from 100 Word Story. Join him at the launch party on May 8th at The Bindery in San Francisco. Details here. Shayna Maci Warner was selected as one of three Rising Star grant recipients from GLAAD. She was honored at the 29th Annual GLAAD Media Awards and featured in Teen Vogue. Laura Atkin’s co-authored book, Fred Korematsu Speaks Up has been named an honor book of the 2018 Jane Addams Children's Book Award. Chris Knoblaugh published her novel Tribute through CreateSpace. This fun YA horror novel is the first in The Cleaners series. Reyna Grande will publish her second memoir, A Dream Called Home, this October with Simon and Schuster. This memoir is a follow-up to her first memoir, The Distance Between Us, and is available for pre-order. Charlotte Gullick published her essay, “Between the Cow and the Buoy,” with Full Grown People. 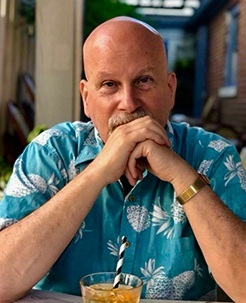 Steve Almond has received many rave reviews, including one from Cheryl Strayed, for his new book, Bad Stories: What the Hell Just Happened to Our Country, published by Red Hen Press. Congratulations to adjunct professor of Language Arts at Skyline College and MCWC past participant Kathleen McClung on the publication of her new book of poems, The Typists Play Monopoly. Join Kathleen for her launch party on May 6 at The Artisans of San Francisco, 6-8 pm. Event details here. 2014 participant Mary K. Jensen’s memoir, Rudy’s Rules for Travel, will be released April 10th and has been selected by Kirkus Reviews as one of the Indie Best Books of the Month for May. You can read the review here. MCWC 2018 Non-fiction instructor and keynote speaker, Elizabeth Rosner, will be speaking at the Commonwealth Club in San Francisco on Tuesday April 10. Tickets available here. Publishing guru Jane Friedman’s much-anticipated book, The Business of Being a Writer, is now available. For the benefit of in-person instruction and a Q&A, sign up for the MCWC 2018 Publishing Bootcamp. One of Sacramento Poet Laureate and 2018 Poetry instructor Indigo Moor’s poems was recently featured in the San Francisco Chronicle. You can read his featured poem here. Congratulationsto MCWC 2017 faculty shara mccallum! 2017 Poetry instructor Shara McCallum’s collection Madwoman has been shortlisted for the poetry category and longlisted for the overall 2018 Bocas Prize for Caribbean Literature. Congratulations, Shara! 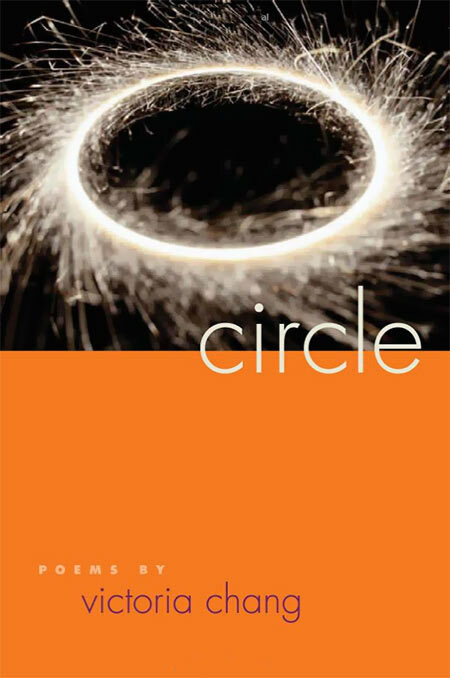 Congratulations to Michael David Lukas on the upcoming publication of his second novel! Pre-order your copy of The Last Watchman of Old Cairo now. The launch party will be at Book Passage in Corte Madera on March 13. Full list of Michael's events here. MCWC 2011 faculty Jean Hegland will be at the Cloverdale Performing Arts Center on March 8. Event details here. MCWC 2017 faculty Kara Vernor will be reading at the Ukiah Library on February 17th as part of the LOBA Poetry Reading Series, organized by MCWC 2017 faculty Melissa Eleftherion. Details here. MCWC 2017 faculty and co-publisher of Joyland West Lisa Locascio is looking for new voices! MCWC 2018 faculty Nina Sadowsky released her psychological thirller, The Burial Society, on January 30th. Congratulations Nina! Jody Gehrman, MCWC 2017 Master Class instructor, released her new novel, Watch Me, on January 23rd. Congratulations Jody! Elizabeth Rosner published her essay, “The Hierarchy of Suffering,” with Scoundrel Time. Read the essay here. MCWC 2016 faculty Jessica Piazza’s poem, “Bell’s Knells,” was selected for The Best American Poetry 2018. MCWC past participant Jasper Henderson published his short story, “A White Male Writer,” in Your Impossible Voice. Jasper attended MCWC on an Under-25 scholarship. Read his story here. KC Kirkley’s novella Ars Longa, Vita Brevis, is forthcoming from The Paragon Journal on February 9th, available as paperback on Amazon. Kirkley was a MCWC participant in 2016 and a volunteer in 2014 and 2015. Congratulations to MCWC past participant Devi Laskar on the publication of her second poetry chapbook, Anastasia Maps, by Finishing Line Press! Blaze Farrar recently published her short story “Taking Big Tom Home” with Gravel: A Literary Journal. You can read the story here. MCWC 2011 participant Cheryl Romo’s debut novel, Ruby Hands, was published by Sowilo Press after winning the Eludia Award from Hidden River Arts. Congratulations Cheryl! MCWC 2016 faculty Laura Atkins’ book Fred Korematsu Speaks Up was included in the Best Middle Grade Fiction 2017 list by Kirkus Reviews. Gillian P. Herbert has published her second memoir, Stark Truths: Living on High Alert. Gillian attended the MCWC in 2009 and 2013, and won a prize in the non-fiction category of the MCWC writing contest each time. MCWC 2011 faculty Camille Dungy won a Creative Writing Fellowship through the National Endowment for the Arts. Congratulations Camille! MCWC 2016 faculty Reyna Grande has published her memoir The Distance Between Us in her native language, which is a dream come true for her. 2004 faculty Maxine Rose Schur will be sharing her new book Marielle in Paris at Diesel Bookstore in Larkspur on November 18th. Activities will include crafts and games. 2016 faculty Reyna Grande is on tour with the recently published young-readers’ edition of her memoir The Distance Between Us. She’ll be in San Francisco on November 19th and Santa Rosa on November 20th. Check out her website for details. Past Participant releases 6th novel! Since attending MCWC in 1999, Sue Owens Wright has written two nonfiction books, a mystery novel, and the Beanie and Cruiser mystery series. She recently released Ears for Murder, the latest installment in the series. MCWC 2017 participant Debbie Devoe sends on this link to 70+ publications that pay $1 per word, compiled by Mridu Khullar Relph, pictured above, founder of the International Freelancer. Thanks, Debbie! To access Jody's generous gift of Dialogue Tips, click here. MCWC 2011 faculty Camille Dungy was awarded the Lifetime Achievement Award by Outdoor Afro on October 5th for her work as an environmental poet. Check out her recent book of essays, Guidebook to Relative Strangers. Les Standiford's nonfiction book The Man Who Invented Christmas has been adapted to a movie of the same title. Look for it in theaters this November! Grant Faulkner is Revving up Writers AGain! MCWC 2016 faculty Grant Faulkner will help you boost your creative mojo with his new book Pep Talks for Writers, published by Chronicle Books on October 3rd. Barbara Ridley’s first novel, When It's Over, was published on September 26th. Barbara connected with her publisher, She Writes Press, at MCWC 2016. Her novel is based on her mother’s experience as a refugee during World War II. Congratulations Barbara! Light, published on September 12th by Grove Atlantic Press. We heard Lisa Locascio read her essay Byzantium at MCWC 2017’s Town Hall Event, and now you can read it online! Find it here in Tin House. Elizabeth Rosner (MCWC 2015) is launching her first book of non-fiction on September 7th—a book that Kirkus calls “a thoughtful, probing meditation on the fragility of memory and the indelible inheritance of pain.” She’ll be at Gallery Bookshop in Mendocino on October 28th at 7:00pm. our secretary is that woman from mississippi! Congratulations to board member and MCWC Secretary Norma Watkins on the September 1st launch of her second memoir, That Woman From Mississippi. The Mendocino launch will be in the Abalone Room at the Little River Inn — Sunday, October 8th at 4 pm. Since the book is set in Miami, Norma’s treating people to rum punch and Cuban snacks. Past participant Kathleen McClung’s villanelle, “Instructions for Closing,” appears in the just-released anthology, Ice Cream Poems: Reflections on Life with Ice Cream, edited by Patricia Fargnoli. Lori Ostlund (short fiction instructor MCWC 2016) was a finalist for the 2017-18 Simpson Family Literary Prize, a $50,000 prize for authors in mid-career to support future projects. Laura Atkins' (MCWC 2016 MG/YA insturctor) co-authored book, Fred Korematsu Speaks Up, has been selected as the summer all-school read for middle schoolers at Seven Hills School in Walnut Creek. Since the book launched in January 2017, Laura and co-author Stan Yogi have spoken to over 4,000 students at close to 30 schools. Gayle Greene’s memoir, Missing Persons, is to be published by University of Nevada Press this coming October. Gayle workshopped the first chapter a few times at MCWC. Congratulations, Gayle! Congratulations to former MCWC faculty member, Camille T. Dungy, for the release of her essay collection, Guidebook to Relative Strangers: Journeys into Race, Motherhood, and History, by W.W Norton & Company. Executive Director Shirin Yim Bridges' Mary Wrightly So Politely (Houghton Mifflin Harcourt) is now out in Chinese translation. Anne Da Vigo, MCWC 2014 and MCWC 2016 fiction contest winner, is launching her thriller, Thread of Gold (Quill Driver Press), of which Kirkus said, "Stop the presses! An appealing crime fiction heroine is born." The launch party will be in Sacramento, Sunday, June 11th, from 3-5 pm at the Brickhouse Gallery on 36th and Broadway. June 9th, 6:30 pm, at Gallery Bookstore in Mendocino, 2017 Faculty member Lisa Locascio will be reading from the anthology that she edited, Golden State 2017. Contributors include MCWC 2017 faculty members Kat Meads and Kara Vernor, as well as ex-MCWC board member Henri Bensussen, and past attendee Jasper Henderson. from Finishing Line Press and will be published in late summer, 2017. Her poems have also recently been published in Forge and Provincetown Magazine. Past presenter Maxine Rose Schur has designed a magic play mirror to reflect back positive thoughts to young girls. You can find out more and support her cause here. NOYO RIVER REVIEW VOL. 5 LAUNCHES! Ten authors will be reading from their works, as published in the latest volume of our literary magazine, Noyo River Review. Please join us at the launch on Sunday, May 14, 2pm-4pm, at the Odd Fellows Hall in Mendocino, Corner of Kasten and Ukiah streets. This event will be co-hosted by flockworks, artful: community. Congratulations to MCWC board president Ginny Rorby. Her middle-grade novel, How to Speak Dolphin, is now available in paperback. Congratulations to Gary Durbin! His short story, Last Winter, won second place in our 2016 writing contest. It was recently published in The Piker Press. The Mendocino Spring Poetry Celebration will be held on Sunday May 14th at the Hill House in Mendocino. There will be two open readings. Sign up at noon to read at 1:00 pm, or sign up at 5:00 pm to read at 6:00 pm. MCWC 2016 faculty Reyna Grande will be giving a reading and a talk at Mendocino College's Ukiah Campus on May 2nd. This event is free and open to the public. Contact monicaflores@mendocino.edu for more information. Former MCWC ED Patty Joslyn will be reading from her new book of poetry at Gallery Bookshop on Friday, April 28th, 6:30-7:30 pm. 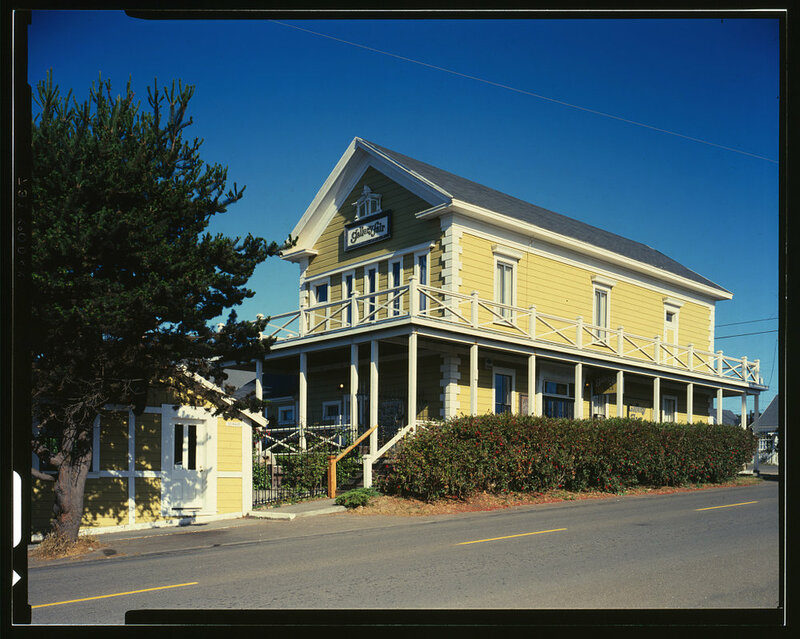 At 6 p.m., at the historic Mendocino Hotel, the Writers of the Mendocino Coast and Fort Bragg Public Library will co-sponsor kids reading excerpts from the books they wrote during the 2016 NaNoWriMo challenge. Sixteen Rivers Press is seeking unpublished poems that respond to the cultural, moral, and political rifts that now divide our country. Submission period: February 15–April 15, 2017. Submit 1 to 3 unpublished poems, totaling no more than 3 pages. MCWC 2017 Flash Fiction instructor Kara Vernor will be hosting the April edition of the reading series, Get Lit, between 7 and 9 pm, at the Aqus Café in Petaluma. Featured readers will be followed by an open mic, so bring your best 2-minute flash, poem, or excerpt. The Writers Forum has a new location: Copperfield's Books, 140 Kentucky St. Petaluma. The Forum meets every third Thursday, March through October, 6:30 pm to 8:30 pm to share ideas and explore the many facets of writing. Free and open to the public! Earlene Gleisner, a "Friends of MCWC" scholarship winner, credits the motivation she gained from MCWC 2016 as the last push she needed towards her the publication of her book. Maureen Eppstein, former MCWC ED, has had four poems accepted by the Adelaide Literary Magazine. Congratulations to 2016 alumna and contest winner Natasha Yim, whose new children's book, The Rock Maiden, illustrated by Pirrko Vainio, will be released by Wisdom Tales Press on March 1st. Join MCWC participant, foreign language professor, and newspaper columnist Susanna Janssen at the Four Eyed Frog in Gualala, Saturday March 4, 4 pm, for the launch of her new book, Wordstruck. Congratulations also to former faculty Camille Dungy. Trophic Cascade, the fourth book in her award-winning poetry series of survival narratives, is due out from Wesleyan on March 7th. And to MCWC 2017 Paths to Publishing panelist Melissa Eleftherion, whose first full-length collection of poetry, Field Guide to Autobiography, is now available for pre-order. And last, late, but in no way least, to MCWC 2016 faculty Laura Atkins, whose new book, Fred Korematsu Speaks Up, launched to a packed audience at the J-SEI center on February 4th! © 2018 Mendocino Coast Writers' Conference. All images of the Mendocino coast and our conference are used with the generous permission of photographers Mimi Carroll, Ron LeValley, and Kathryn Rohr, and remain the copyright of their respective photographers.